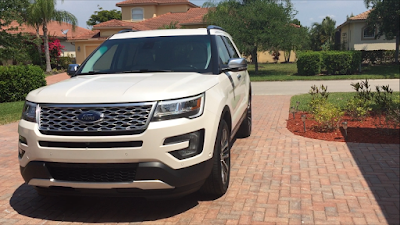 For our three hour road trip to Orlando for the annual Traveling Mom retreat, I was given the chance to test-drive and review the 2016 Ford Explorer Platinum. 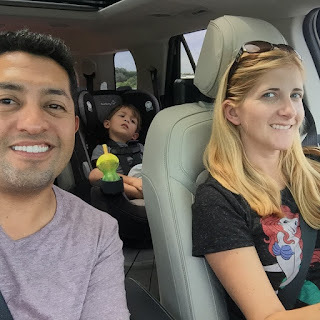 I am by no means a car expert, but since having our boys we have gone through three SUVs in search for the right fit for us. So, from a parent's perspective here is my take. Overall, we were blown away by the luxury of this vehicle and all of it's amazing features that made driving a pleasure, safer and easier for our family. It's definitely a great alternative and more stylish than a mini-van, yet still functional for large families too. Dual-panel moonroof allowed the boys to see out from their car seats in the second row for a change. They enjoyed the novelty of it and made for a fun road trip for them. Heating and Cooling leather seats. The former is great for traveling up north and the latter was heavenly here in Florida. If only my car had this for the summer months down here when I'm sticking to the seats. 2nd row heated seats. Not that we used this feature, but I still thought it was a cool feature to have and one I would have loved having in our vehicle growing up in New England. Massaging seats for both the passenger and driver side. I seriously had mine on the entire trip. Why every vehicle doesn't have this is beyond me. Foot-activated lift gate allows you to close the trunk by simply kicking the air under the rear bumper. I can't tell you how many times I'm unloading groceries, just to have to put the bags back down in order to hit the button up top to close the trunk after. AC power outlet, great for charging a laptop or other devices. Multiple USB outlets, allowed us to forgo using the cigarette lighter piece. Blind Spot Information System (BLIS® with cross-traffic alert). A light would appear in my side view mirrors, alerting me if someone was in my blind spot. Twice this saved me from changing lanes when I shouldn't have. A capless fuel tank made for easy fueling, eliminating the need to put the gas cap back on after fueling. After you remove the nozzle from the fuel tank, the seal shuts automatically. Standard on all models. Easy bluetooth setup. The car audibly directs you through the steps. Memory seating - since Raphael and I are often swapping cars and I am a foot shorter than he is, this feature makes switching drivers effortless. 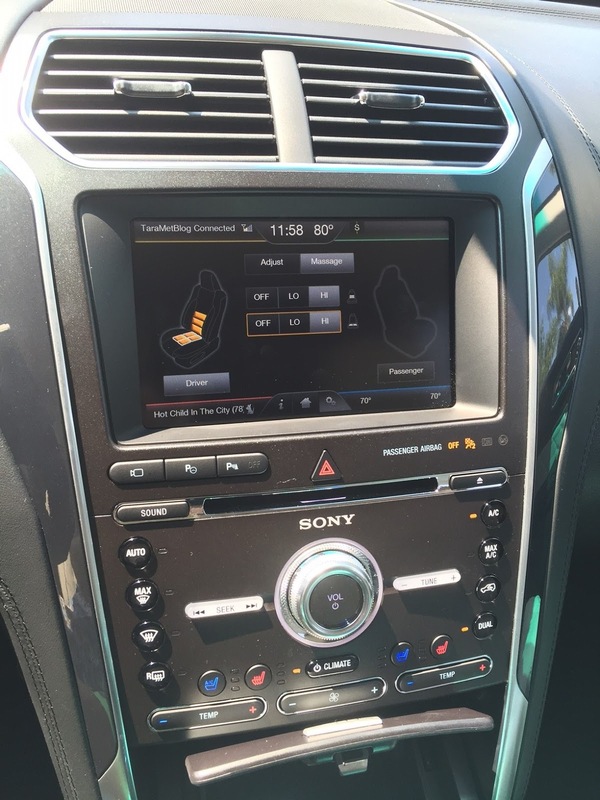 We are already missing this feature in our minivan. Power folding with the push of a button for the 2nd and 3rd row seating. So amazing! I wish my minivan had this. However, my curious son hit the button and almost got folded up into the seat. Thus, be sure to have the child safety lock button on, but this doesn't help in regards to the 3rd row. Adaptive cruise control. The cruise control was way more intuitive than I am used to. Although I had it set for a certain speed, it would sense when I was going to have to break due to an approaching car and would decrease speed before I even had to move my foot over to the break. It was like the car was driving itself! Stylish - loved the wood trim steering wheel and quilted leather accents. Plus, the cool looking grill on the exterior.